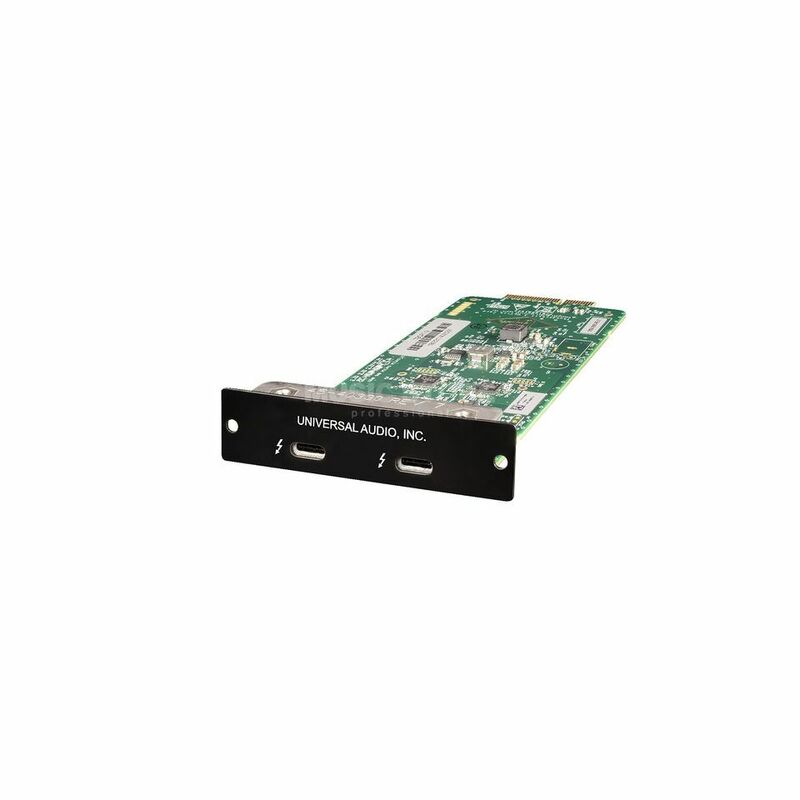 The Universal Audio Thunderbolt 3 Option Card is an expansion card for Apollo rackmount devices. With this option card Universal Audio offers the possibility to equip Apollo rack interfaces with Thunderbolt 3 connectors. Music and audio producers can now use 2x Thunderbolt 3 ports with compatible Mac or Windows systems, which also provide 15W bus power for all downstream Thunderbolt 3 peripherals - perfect for cascading additional Apollo interfaces and UAD 2 Satellite DSP systems, modern storage solutions, 4k monitors and more.